Hello lovely foodies………here I’m today to celebrate with you two spacial occasion together with you all! Firstly, this is the 69th year of India’s Independence! It is a proud moment for all the Indians!And the 2nd proud moment for me and all the foodies in this family is – this is the 2nd anniversary of the blog! I want to share this great pleasure with all of you; because, without your love and support, I never can go such smoothly in this journey! 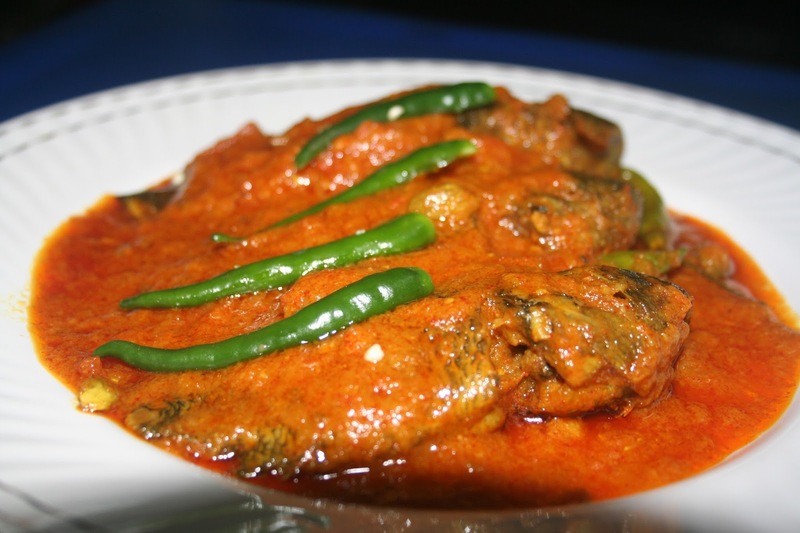 Thank you so much my friends………hope we will go together many more years……..
Today, I’m going to share an authentic Bengali recipe with a little bit of personal touch! 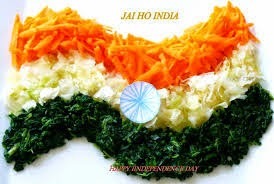 It is the Independence Day, and I think, I have the freedom to change any authentic recipe to make a fusion; which increases its taste with almost the same ingredients! Hooah! L-o-n-g speech! Ha... ha... ha…….. Let’s go for cooking! 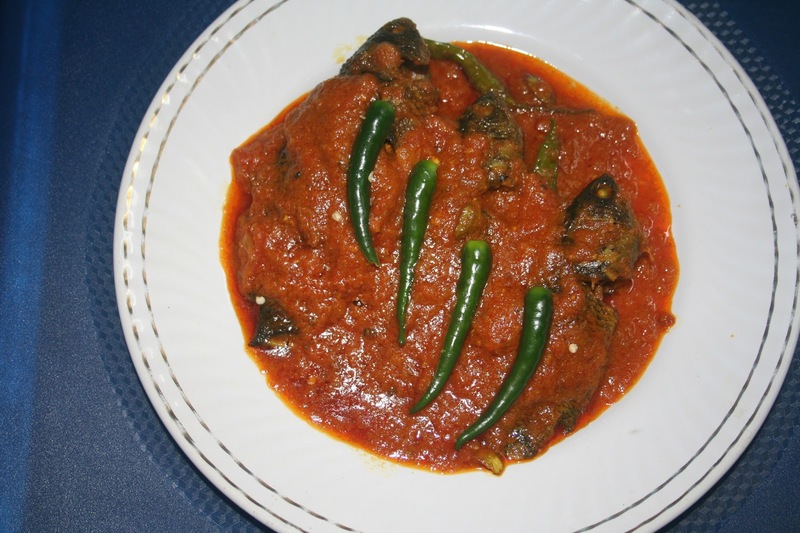 ‘Tel Koi’ is a popular cuisine in Bengal. I tried to find its origin; but some said it is a Bangladeshi cuisine some said it is from Bengal; actually, this dish is popular in both of Bengal and Bangladesh! Koi mach (Climbing Perch Fish) usually made their appearances in the monsoon and winter fish market. You can prepare it in various ways, with cauliflower or cabbage, but the most famous dish is “Tel Koi”. The authentic cuisine is made with just green chilies, Kalo Jira (black cumin), ginger and cumin; but I add curd, onion and garlic to increase its taste! Hope you like it………. Marinate the fish with turmeric and salt. Leave it aside for 10 to 15 minutes. Heat oil in a deep bottomed pan. When it is warm enough, add the fish. Fry the fish for 2-3 minutes. Take the fried fish out of the pan and keep it aside. Add the bay leaf in the same oil. Fry it until it becomes brown. Now add the onion paste and fried until it becomes golden brown. Then add ginger paste, garlic paste, tomatoes and mix well. Fried 2-3 min. Now, add some water, turmeric, red chili, cumin, coriander powder and salt and mix well. Then add the curd to it and mix again well. Let the curry cook till it starts oozing water. Add some water, the fried fish and green chilies; cover and cook for 3-5 minutes until the oil separates from the gravy. * Tel koi is taste best with steamed rice. ** The richness of mustard oil makes tel koi more delectable, so please do try it with mustard oil only, it is essential and integral to this dish.